SFI 3.3/5 Certified (SFI 5). FIA 8856-2000 Homologation. Hold tape measure in center of palm and measure around back of hand. 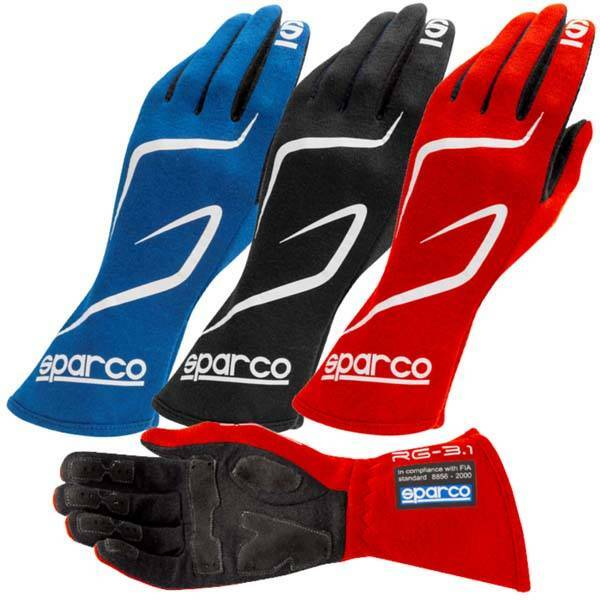 The Sparco Land RG-3.1 auto racing glove is Sparco's entry-level competition glove that provides protection and reinforcement. The ergonomic palm design with reinforced stitching conforms to the hand’s position and the contrasting suede anti-slip fingertip and palm grips provide greater performance. The elastic wrist and wide range of sizes helps ensure proper fitment. Available in black, blue and red. The Sparco Land RG-3.1 driving glove is SFI 3.3/5 and FIA 8856-2000 approved. 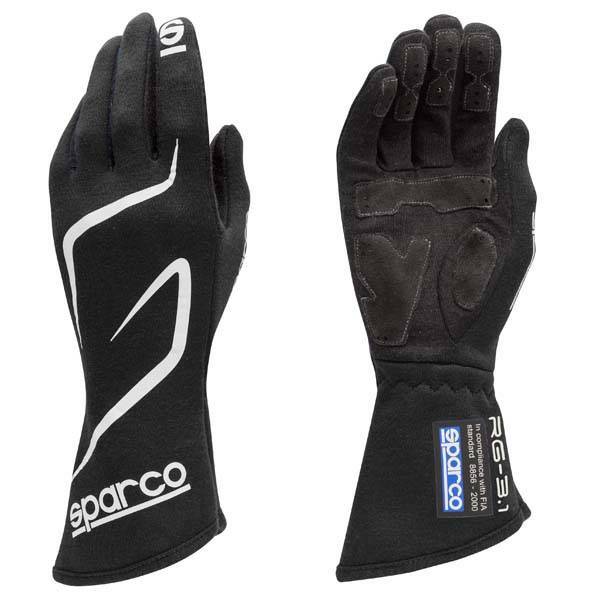 Pit Stop USA offers Sparco Land RG-3.1 Gloves - Black 001308NR at low everyday prices. Be sure to check out all our products from Sparco including Sparco Driving Gloves.